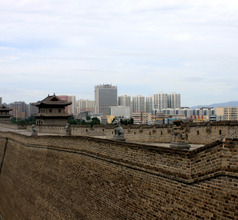 Datong is the largest city in the Shanxi Province of China. It is a very popular tourist destination due to its wealth of historical sites, temples, and other tourist attractions. The city has always been a prosperous industrial region due to its rich resource of coal. 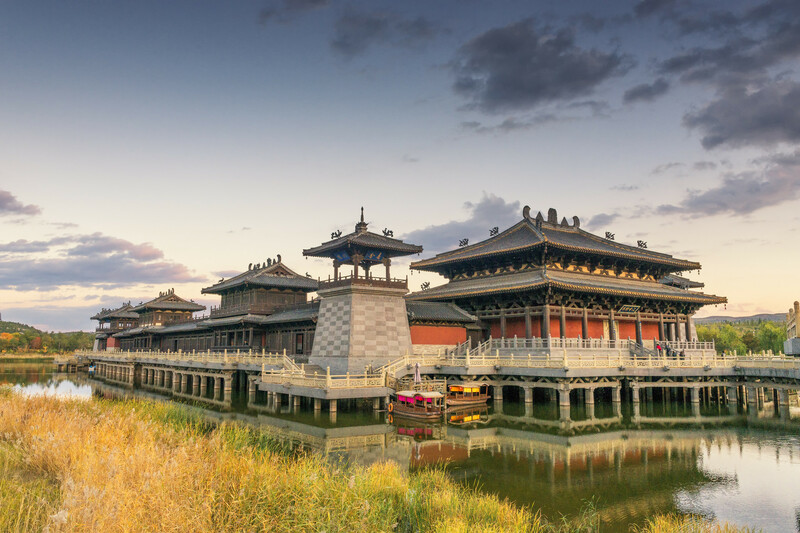 But over the years, the city’s tourist attractions gained popularity and, consequently, Datong became a tourist hub. The city’s proximity to Beijing makes it easily accessible. With a magnificent UNESCO World Heritage Site in its vicinity, the city is definitely one of the must-sees in China. Datong City is bordered by the fascinating province of Inner Mongolia, thus adding to its popularity as a tourist destination. But the city has its own special attractions as well. The people are proud of their ancient monasteries, artwork, and temples that are deep-rooted in the ethos of the city. The landscape around the city is filled with magnificent volcanoes that attract tourists from all over the world. In the year 200 BC, Datong City was called Pingcheng. This was during the Han Dynasty reign. It was a major business and trading hub because it was an important stop-over for the camel caravans of merchants traveling along the Ancient Silk Route. Pingcheng was also the capital city between 386 and 534 AD during the Northern Wei Dynasty. 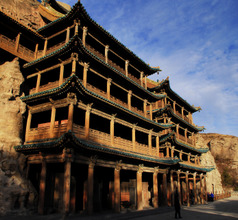 Hence, Datong has been an affluent and well-developed city even during ancient times. 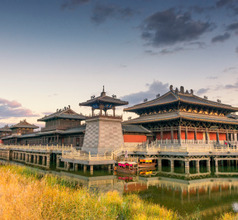 Despite modern developments like skyscrapers, recreational centers, entertainment zones, shopping malls, and a splendid transport system, Datong city has retained most of its ancient heritage. So one can enjoy the pleasures of modern life as well as explore the amazing relics around the city. 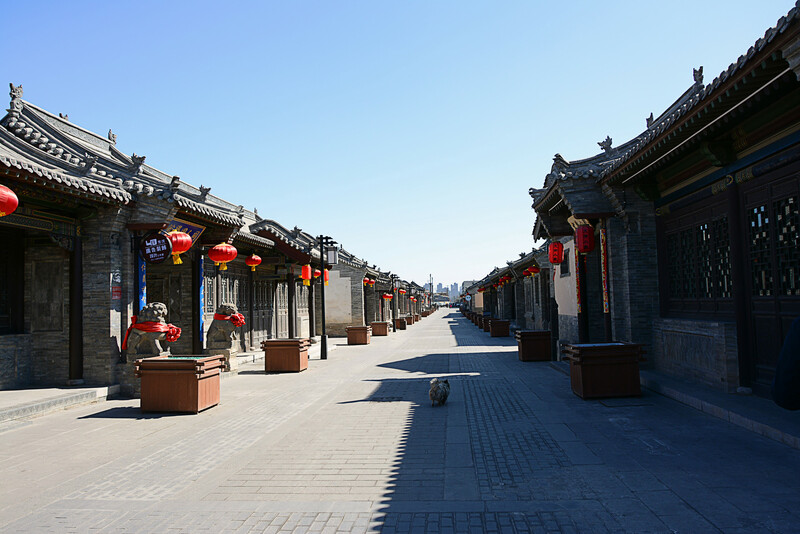 Being a modern urban area, Datong City has plenty of choices in accommodation. For those who like to travel in style, there are countless 3, 4, and 5-star hotels in downtown Datong. In order to cater to overseas tourists, they have in-house International style restaurants that serve western specialties so food is not a problem. They also offer various amenities like 24x7 housekeeping, airport shuttle, customized sightseeing, swimming pools, in-room dining, and more. 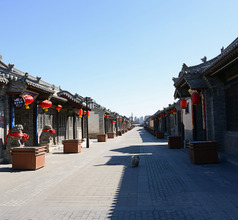 For people traveling on a limited budget, Datong City also has a number of cheaper hotels, guesthouses, inns, youth hostels, and service-apartments with basic amenities. Although the English language may not prove a problem in the city area, carrying an English-Chinese dictionary might prove useful while sightseeing. 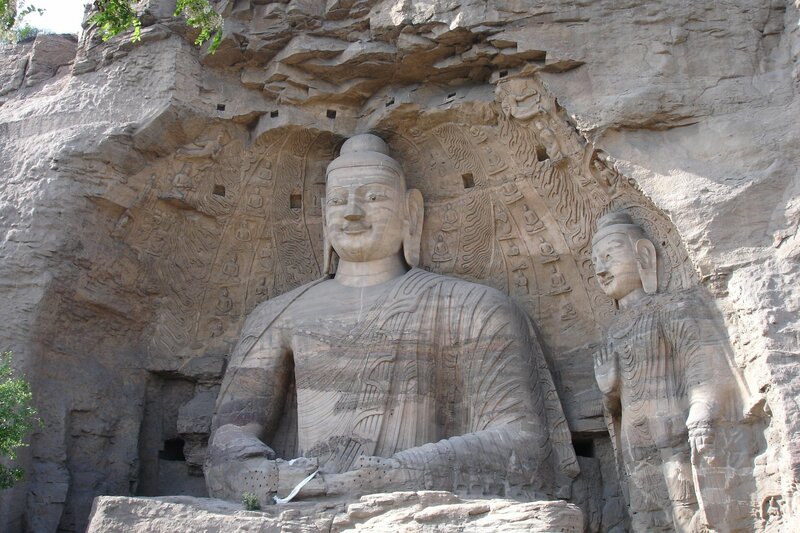 The Yungang Grottoes, a UNESCO site is 1,500 years old. The grottoes are made up of countless caves and niches located on the picturesque Wuzhou Shan Mountains near Datong City. There are over 51,000 Buddhist statues which vary in size and shape. The most spectacular one is the 17-meters-tall seated Buddha while the smallest one is just a few centimeters in height. 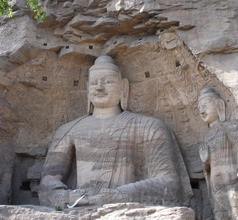 The rock carvings and murals depicting the Buddha and famous monks are also magnificent sights. Fortunately, they have remained in well-preserved conditions and photography is permitted. The Datong Museum is an impressive building with a collection of over 70,000 ancient artifacts. Visitors are greeted by the massive 50-meters wide and 15.5-meters tall painting at the entrance depicting the nobility of the Northern Wei Dynasty. The relics range from dinosaurs to artifacts dating back to the Wei, Liao, Jin, Ming, and Qing Dynasties. 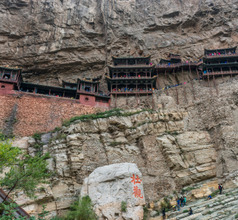 The Hanging Monastery is an ancient Taoist temple near Datong. The monastery literally hangs precariously on the edge of a mountain, seemingly without a strong foundation to support it. Yet, this amazing place of worship has remained intact for centuries. 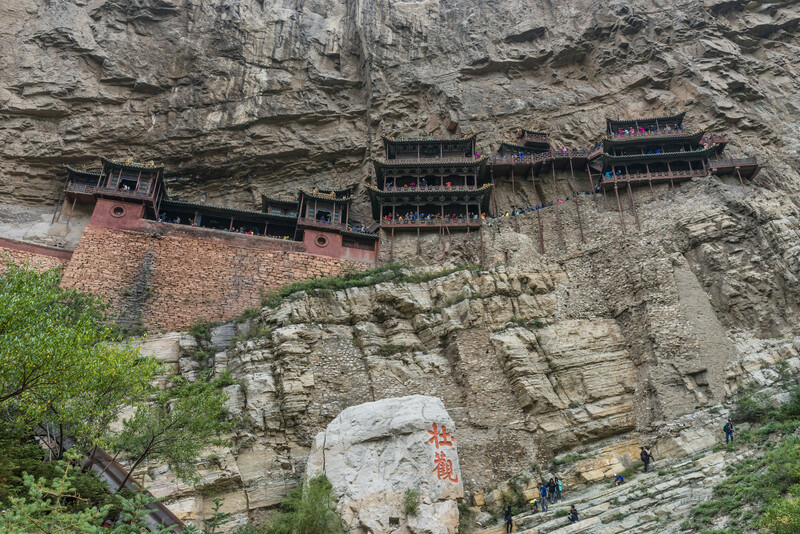 It consists of three main prayer halls and 40 interconnected rooms on the edge of the mountain, most of which was built during the Ming and Qing Dynasty eras. The complex also has a stall selling delicious vegetarian food. 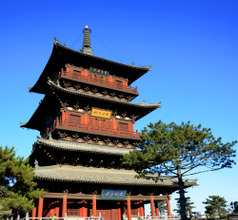 One must visit the Yingxian Wooden Pagoda while in Datong. 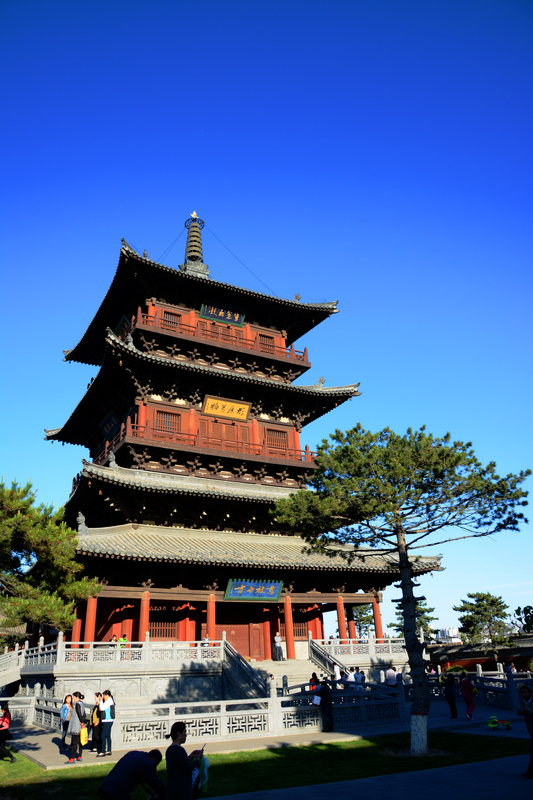 Built in the 11th century, this is the tallest, oldest, and grandest wooden temple near Datong City. Also called the Pagoda of Fogong Temple, it is dedicated to the Sakyamuni Buddha whose immense idol takes center stage in the main hall. The architecture of the pagoda is very deceptive. From outside, the pagoda seems to have only five stories while from the inside it actually has nine stories. Only the ground floor and first floor are accessible by general the public. Datong's railway station is located around 2km north of the central city area. At this stage only low-speed trains operate here, and a new high-speed railway station will open in 2019, providing high speed connections to Beijing. 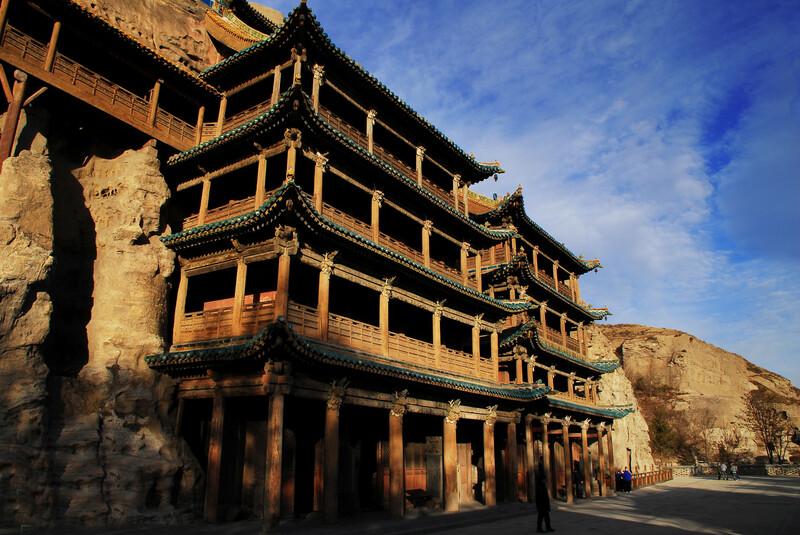 Located in the Shanxi province to the North-East of China, Datong is a city close to the UNESCO world heritage site, Yungang Grottoes. Flights go to Taiyuan, Lanzhou, Tianjin, Shanghai, Xiamen, Qingdao, Wuhan, Harbin, Beijing and Hefei aided by Shandong, Shenzhen, Tianjin, Loong and China Eastern Airlines. The airport is at a remoteness of 15 km from town center of Datong and this roughly translates in to 30 minutes of car travel via Highway 302. Shanxi Noodles is the staple dish of Datong City. Their cuisine is usually salty and fried and they have a limited repertoire of sweets. Some of their popular dishes are instant boiled lamb, pea noodles, dried bean curd, cat-ear noodles, Yanggao dried apricot, crisp soybeans, naked oat noodles, Yangza soup, pickled eggplant, fried yellow-rice pie, Yingzhou Niuyao (deep-fried snack made with dough), Shaomai (pork dumplings), Liangfen (noodles made with potato or yam flour), etc. There are several restaurants along Yingbin Road, Yuhe Road, and Xinkai Road which specialize in these delicacies. 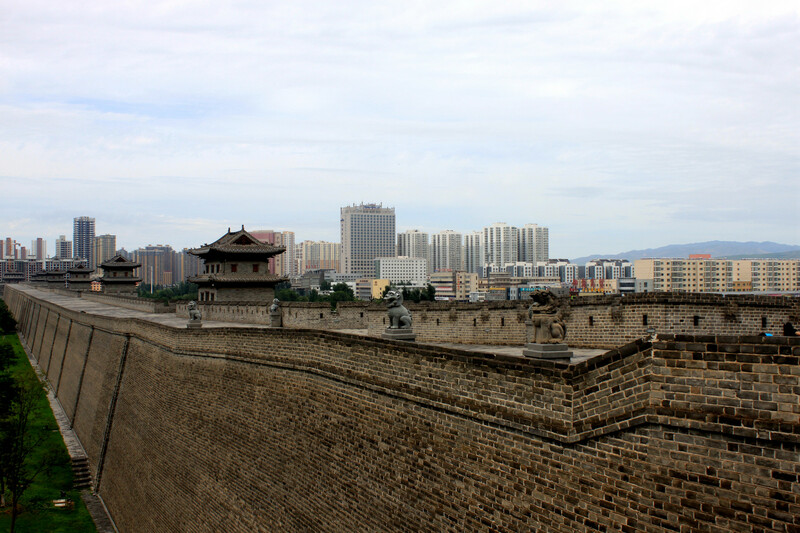 Datong has rather long, cold, very dry winters and very warm summers. The rainy season is usually from June to September.